Analysis from Everton's win over Brighton and Hove Albion. “What more do Everton fans want?,” was the patronizing phrase used by many a pundit when the Blues dismissed former manager Sam Allardyce at the end of last season. 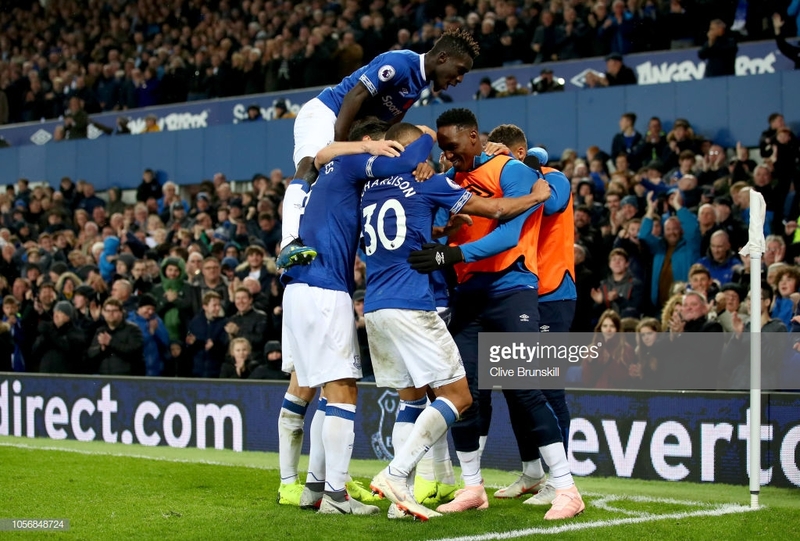 Saturday’s win over Brighton and Hove Albion demonstrated just what more Everton fans want from their team - not just winning at home, but doing it with style too. There hasn’t been a major overhaul of the squad, either. Just additions of quality and the implementation of an attractive style that also works on the back end and can cover the weaknesses’ of players in the team. For the majority of Saturday’s game, sans a minor wobble after conceding the equalising goal, Marco Silva’s side dominated proceedings against the Seagulls and could, and should, have more than three goals to go with their three points. They recorded over 60% of possession for the afternoon and took on 14 shots. The Blues have now recorded back-to-back games with 14 shots after a run of three consecutive games with 17 shots or more. For context, it took their former boss three games to rack up 17 shots in total and they never recorded 17 shots in one game under him. Silva has preached patience and that gradual progression would be the name of the game for his side. There are still weaknesses and lingering problems that have surrounded the squad under previous managers but Silva’s team are showcasing that gradual progression each week. For the most part, the squad is still the same as last season. It hasn’t been the overnight overhaul revolution that some may have expected, but rather, a tinkering evolution that benefits all. Five players from Saturday’s starting line-up also started the game when Chris Hughton’s side were the visitors last season - Idrissa Gueye, the Blues’ best player on the day, missed that last meeting through injury but has been a key cog in the squad for the last three Everton managers. The Blues’ victory started with them winning the midfield battle. Gueye and his new partner in crime, Andre Gomes, were classy operators who were also seemingly everywhere and in the right areas when called upon. Gueye stole the show with his trademark work rate that kept a tricky Brighton midfield at bay but allowed Everton to control the game. His 12 recoveries of possession, for the most part, were in advanced areas and meant the Senegalese midfielder could quickly move the ball on to Gomes and Gylfi Sigurdsson and allow the Blues to create chances. Despite it being a weaker aspect of his game, Gueye is no slouch on the ball. He had a team-high 93 touches, completing just shy of 90% of his passes. Having a willing and creative Gomes next to him has reinvigorated Gueye to levels not seen since his first season in a royal blue shirt. He is just one of a few Everton regulars who played for the club under former managers who has been touched by Silva’s seemingly golden coaching touch. After a quiet game in the defeat to Manchester United, plenty of Everton fans questioned whether or not the Richarlison as a striker experiment should continue. Silva stuck with his summer signing as his front man on Saturday and reaped the rewards as his brace propelled the Blues to victory. Paying such a hefty fee for a player who had starred but fallen away over the last campaign raised plenty of eyebrows from the same pool of pundits who questioned just what Everton fans want from their club. Yet, their criticisms are being rejected, and then some, as the Brazilian continues to impress. The 21-year-old has now got six goals for the campaign, making him the Blues’ top scorer as he joins a cluster of Premier League players who sit behind Aguero, Hazard and Aubameyang who all have seven goals. Richarlison seemingly embodies just what Silva and his team are going through. There are clear signs of quality, flashes of elite brilliance but obvious growing pains remain. Whether or not the Brazilian can thrive as a striker over the long term remains to be seen and will play out in front of Evertonian eyes this season. Both of his finishes on Saturday were excellent in their own different ways - one capping off a breathtaking sweeping team move and another of individual brilliance that made a steady Premier League defence look inexperienced. His performance and the three points are the answer to that “What more do Everton fans want?” question.